November 2011, we delivered 2 motors 132kW/4p for the vessel “Dockwise Vanguard” in Holland. Our motors are powering the hydraulic pump for the anchor winch of the giant Semi-submersible heavy vessel of 100.000 metric tons. 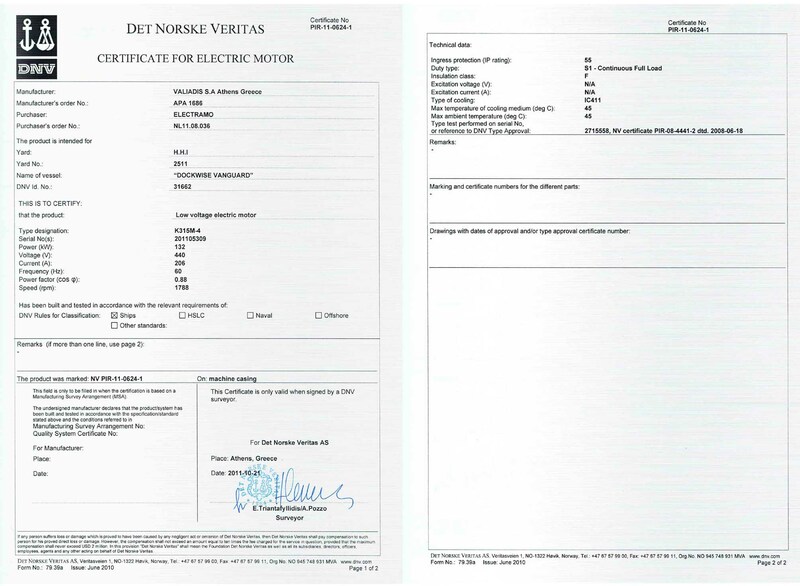 Results for motor tests were fully satisfactory and motors were already delivered .